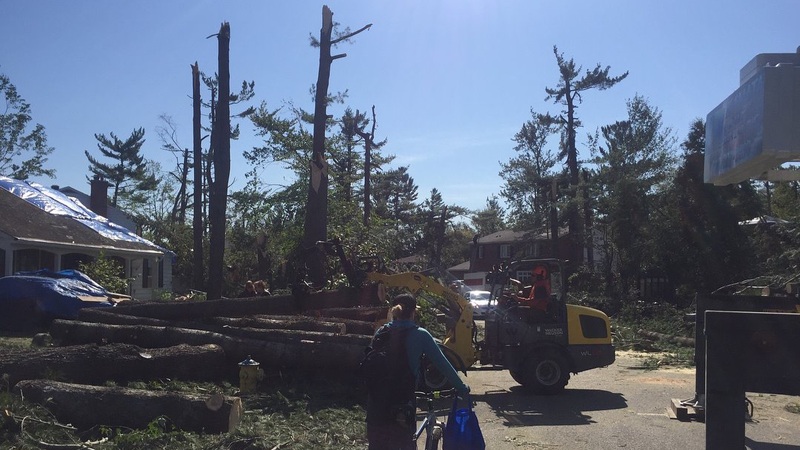 Along with the damage to homes and businesses by the September tornadoes, Ottawa’s urban forest took a beating. 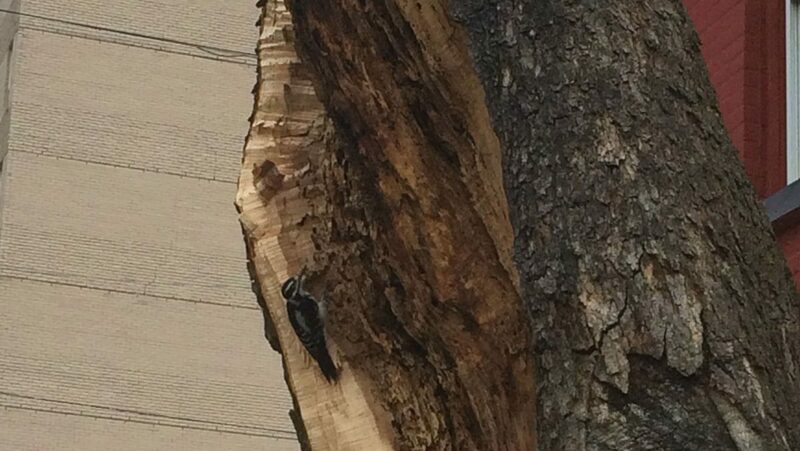 According to a preliminary assessment, 1,200 trees were destroyed on municipal property alone. The actual toll though is likely much higher, as many toppled trees are on private property. Jean Sarich, an arborist with Tower Tree Services, says he hasn’t seen anything quite like it. He and his crew spent two full weeks cleaning up in the Arlington Woods area after the storm. Sarich said he and his crew alone removed up to 50 trees entirely and, he added, there were dozens of crews working in the area. 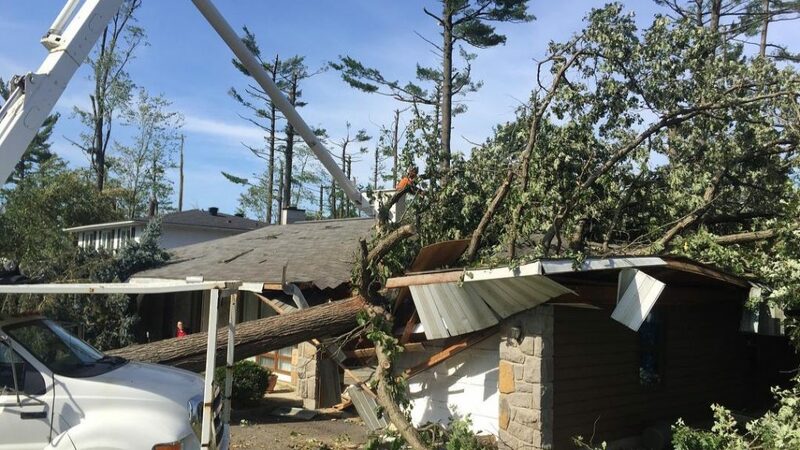 While insurance will often cover the damage caused when trees fall on houses, many insurance plans do not cover the cost of removing damaged trees for safety reasons. Those thinking about re-planting may want to check their wallets again, as a typical sapling costs about $200, while larger trees go for hundreds more, said Mary Reid, owner of the Green Thumb garden centre in Nepean. “Of course then you have to think about whether you want to get the roots taken out, which is a big decision because it’s a big expense,” Reid says. Arlington Woods was known for the 100 year old pines in the area. It has lost about 75 per cent of the canopy. Rebuilding that canopy will take time, Sarich said. And, he added, many may not make the investment in replanting right away, if at all, which will slow the restoration further. Choosing to replant “is absolutely more of an aesthetic or luxury thing,” Sarich said. Public parks are a different story. Tracey-Lee Schwets, the city’s program manager for forest management, said, in a statement to Capital Current, that trees “will be replaced where space permits.” The city does not have a replacement cost estimate at this time. “Parks will be assessed for additional plantings above and beyond the trees that have been removed” Schwets said. The city also has several programs to help residents re-plant trees. But a few homeowners have already taken the re-planting leap, despite the costs. Craven said that deciduous trees grow more quickly than a conifer. Trees are an important part of the urban ecosystem providing shelter for animals, helping lower temperatures by shading homes and absorbing CO2. Sarich is optimistic that people will want to see trees return to the landscape, despite the damage they inflicted.